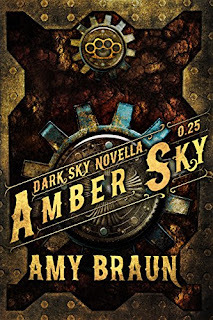 Amber Sky is a prequel novella for the first two books in The Dark Sky series. I have read and reviewed the first two books and absolutely loved them. I am still anxiously awaiting the third installment in the series, so when Amy asked if I wanted to read a novella, I was thrilled! I began reading the first page and was instantly reminded of why I loved this series so much. The world Braun created is rough, scary, and dangerous, but in that terrifying world lies some humans who just won't let anything get them down. Nash and Sawyer are such strong moral compasses, never straying from what they know is right. I loved getting to know these two characters in the first two books, but the way they are portrayed in Amber Sky makes me love them even more. 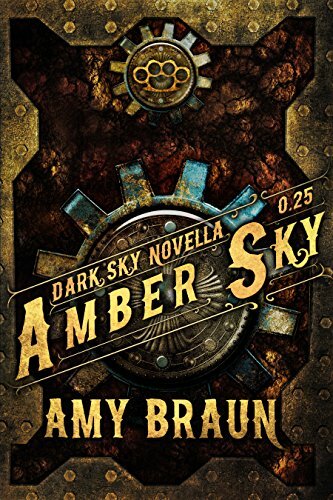 Amber Sky is beautifully written with delicious detail and non-stop action from start to finish. Once again, Amy has created a chaotic world full of characters worth reading about. I thoroughly enjoyed learning more about the Sawyer and Nash and look forward to more novellas as well as the third book in the series. I would highly recommend this novella as well as the entire series.